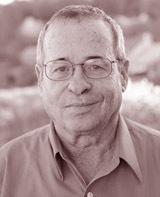 Warshel gained a BSc in chemistry in 1966 from Technion, Haifa, Israel. He was awarded an MSc in 1967 and a PhD (chemical physics) in 1969 from the Weizmann Institute, Israel. He undertook postdoctoral work at Harvard University before returning to the Weizmann Institute in the early 1970s. He also spent time working at the Laboratory of Molecular Biology, Cambridge University. He joined the Department of Chemistry at the University of Southern California, USA, in 1976. He is Distinguished Professor of Chemistry at the University of Southern California and Fellow of the US National Academy of Science.